Can I export my tips as PDF or CSV? 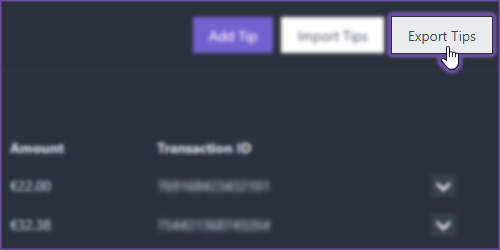 If you want to save a list of your tips and donators, you can find this on your Tips Dashboard, which you can access by clicking the menu button next to your username and selecting Tips. Once on this page, click the Export Tips button, select the Start Date and End Date, and then choose whether you want it as PDF or CSV file type. Clicking either one will save that as a file on your computer.